Hiring items to introduce a few fun quirks to your wedding makes an instant impact with your guests. Not only does it give your guests a talking point (especially if there is lots of waiting around for photographs! ), it also means once the day is over you will have an insight into your day through their eyes…. which can be very interesting indeed!! 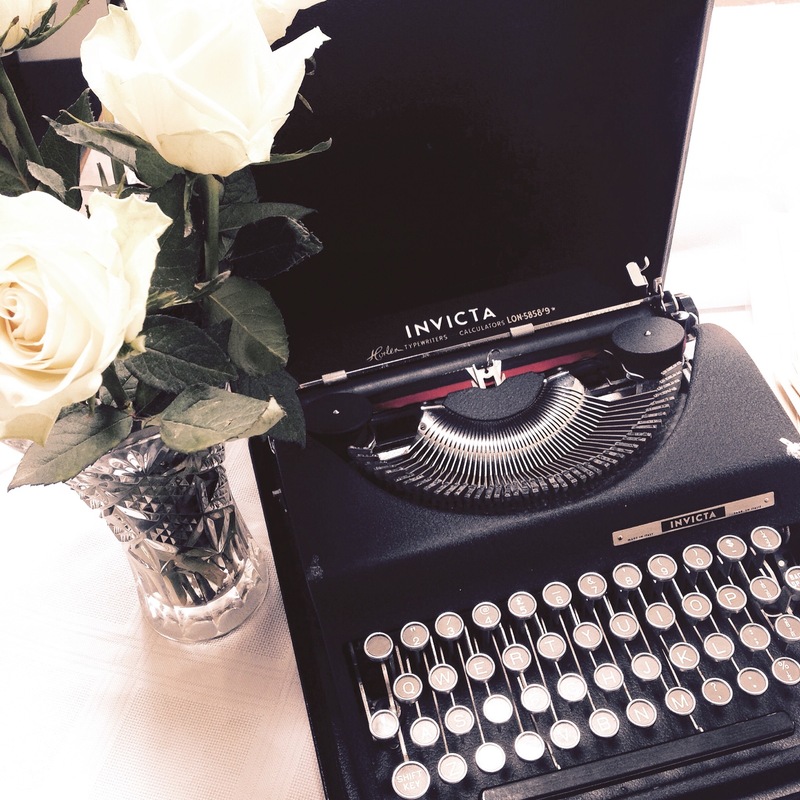 Get your guests to type you little notes, wishes or even some tips for the future! Does your Aunty Patricia know the secret to a long and happy marriage? How much fun would it be to read back all their quips on your honeymoon! You could even scrapbook all of the entries along with other items and photographs to remember your special day. Annie, photographed above is another member of the Ellie Press family of vintage machinery. She is an ‘Invicta’ and dates from around the 1940’s. 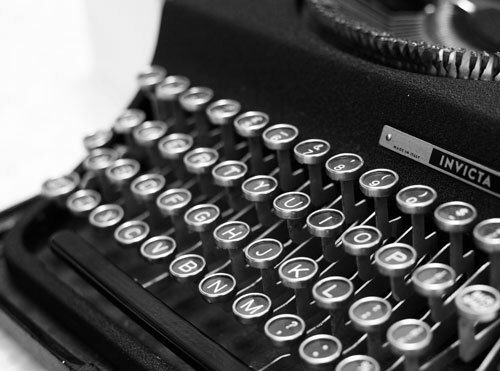 If there are any typewriter experts out there that can tell me more about ‘Invicta’s’ or how to more accurately date my model then please do get in touch. Annie is a small portable ‘Invicta’ typewriter shown photographed above. Annie is available for hire in the Buckinghamshire (UK) area. Please contact us for more information.